Many people remember geography lessons and fact that Lake Baikal holds twenty percent of the earth's fresh water and harbors in the world. Namely, it is twenty three percent! A maximum depth of the Lake is 1,642 m. It means that Lake Baikal is the deepest lake in the world. An extent of the Baikal is on the second. It is 636 kilometers! Lake Baikal area is unique place where there is the wild nature which is without ecological problems. We often don't realize what wealth this lake is. It is necessary to care such places in the conditions of global changes! Canada, USA, Norway, Finland and many other developed countries have sports fishing and trophy records. However, we can approve with regret that Russia do not have an order in fishery since the beginning of 90 years. Lake Baikal is not an exception. Official preparations of fish have been open on Baikal before recent time, so indicators of trophy fishing decreases in the every year. Population of the known Baikal fishes has begun to disappear in places of the mass access for tourists and economic activity of the person. Size of the fish is reduced. The problems, which are described above, really exist and it is important for people who are living near to this nice lake. It is also important to take effective measures for protection of the nature of the Lake Baikal. It is necessary to mention that there is a federal law which forbids an industrial trade of the Baikal omul since November 1, 2017. There are primitive places of the wild nature on the Lake Baikal. Places and areas which we plan to share with you there are in the north of Baikal. Despite the fact that there are no roads and elementary parts of a civilization, rest is magnificent there! You can get pleasure and more interesting knowledge by visiting the places of the Lake! 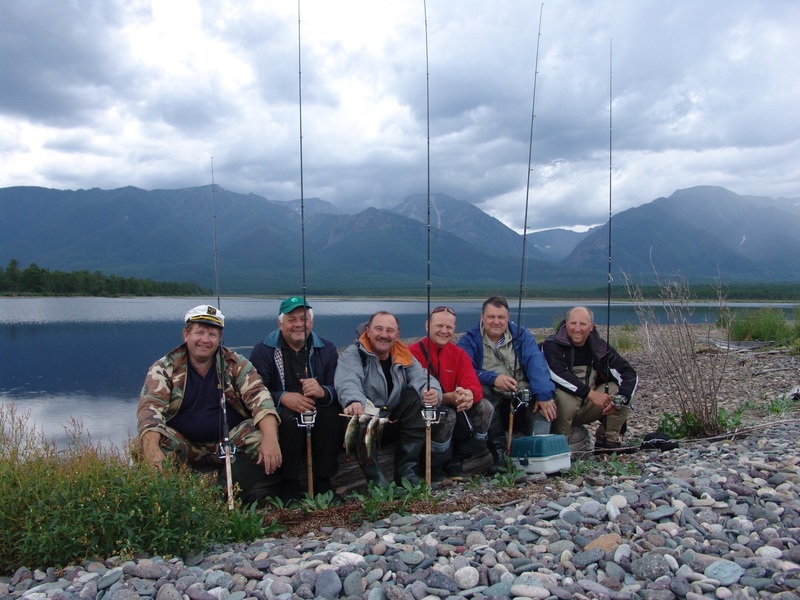 The purest Baikal water, magnificent landscapes of the sacred lake, daily tasting of the fish! July and August are the most suitable seasons for rest on Baikal because there is microclimate which is the most comfortable for rest. Summer is warm. There are no rains. The best and most adapted type of transport for fishing in these parts is the small ship “Yaroslavets”. Many companies and travel agencies offer services in chartering of similar motor ships, yachts and the organization of fishing but only some companies know and are able to do it. Therefore, we decided to give several advices for people who dream to fish on the Lake. Sometimes the rent price of the ships like “Yaroslavets” ship is much more then rent price of walking yachts on the Mediterranean Sea and other tourist zones. The cruise season is only three months, so this fact effects on prices. Therefore, it is possible to rent ships price of which are from 25000 rubles to 65000 rubles per day. Price depends on the additional functions of the ships. Price for ships of the smaller sizes is from 18000 to 25000 rubles but it has some disadvantages which are slow speed, size, and restrictions on the movement during bad weather. The ships of the big sizes have cost from 75000 rubles. There are three-deck liners, but it don`t moor to the coast and suit for the organization of corporate and entertaining actions. 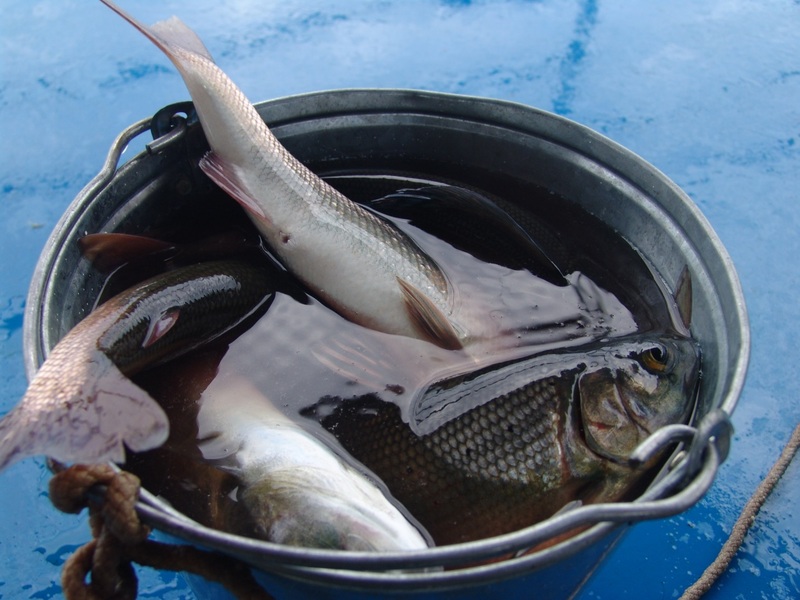 According to our experience, “Yaroslavets” ships are more useful and convenient for fishing. It has high speed, it is safe during any bad weather and it can approach in many places of the coast, and it is possible to fish "from under the screw". This method of the fishing created up by local fishers. Also, the method is based on creation of a flow by the ship which stays to the coast and includes small and a half-speed. The grayling is in fresh water flows, and lifted from a bottom creatures are top dressing for fish. The most important for fishing is correct chosen place. It has to be flat, stony and not exceed 4-5 meters at distance of 35-40 meters from the coast. The fact that you can catch up to 20 kg of the grayling from one successfully chosen place. There is special equipment for fishing. It is a set of the sinker, a cargo front sight, an elastic band for depth spirit. And one of the most important fishing things is team. Beautiful ship and right route are not enough because a key element of the good fishing is a client service. Unfortunately, there are many examples of the bad and unfair behavior of the organizer company. Therefore, it is necessary to talk about all programs and route of the fishing include visits of reserved places and parking places of the ship. If companies suggest you to spend your time on the Chivyrkuysky gulf, it is not correct. Of course, gulf is beautiful, and it has well-known "Snake" hot springs, but there is no fishing on the gulf. It is possible to catch pike which is about 5-7 kilogram and perch which is about kilogram in weight. Nonetheless, it was no problem to catch a pike of 15 kg and a perch for 2 kg in that places a decade ago. Local citizens think that fish of the Chivyrkuysky gulf is only omul and a whitefish. So it will be perfect if Buryatia government organizes such economy. People would go to fishing and to enjoy places! There are all conditions for this purpose. Therefore, we suggest to be only two days there and to go north further for catching2-kilogram graylings and links which are up to 5 kilograms. It is possible to catch trophy pikes in mouths of the large rivers and lakes. It is required to have a good guide for implementation of such plans. So it will be better for you to hide a good instructing guide who can help you to be in good fish places. Do not believe to the endemics of Baikal, it is like Loch Ness monster. Fans of such unusual trophies have to spend two or more days for nothing. Finally, if somebody promises you a good fishing on omul, it can be organized from the middle of July until the end of August. Fish is in the top sheets of water in this period of time. - We will provide maximum service and we will pay attention to each client during all tour. - We creates program of the tour according to the client's wishes. 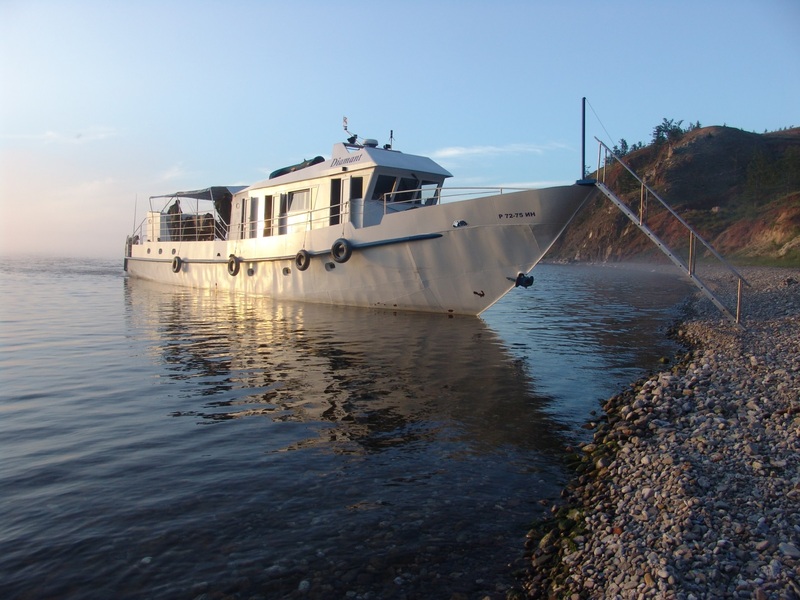 - Our clients get a lot of positive emotions, pleasant impressions, new friends, fishing experience on the Lake Baikal, acquaintance to the unique nature of Baikal, and health improvement. - The tour program includes visiting of the popular areas on Baikal. 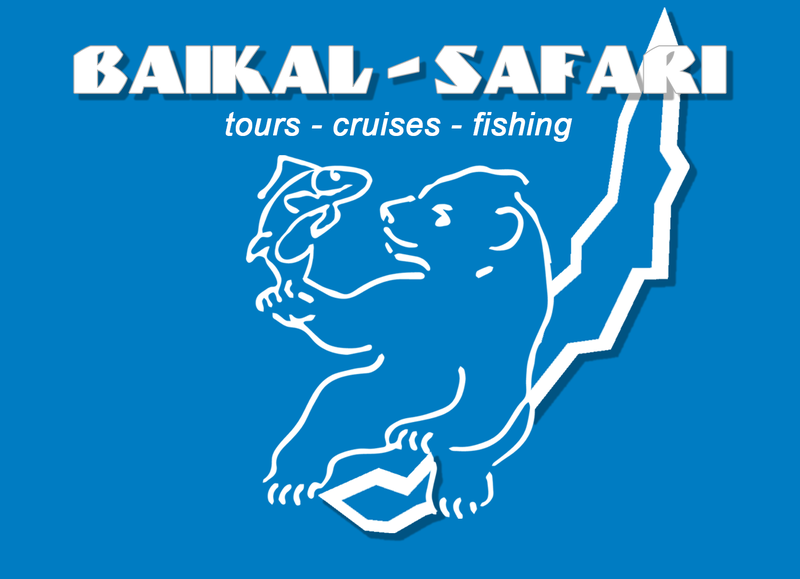 - For more detailed information: "Baikal Fishing". According to the client’s wishes, we can organize tour with a special route.